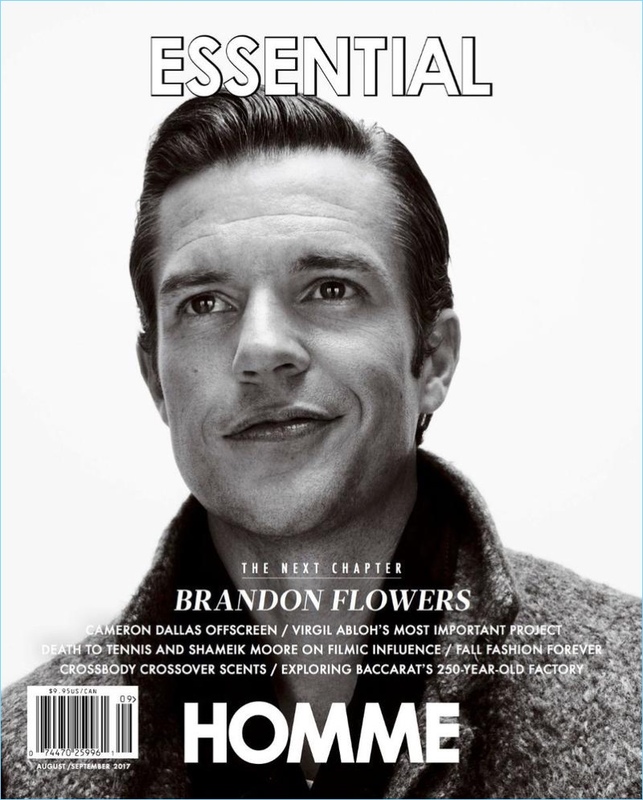 Brandon Flowers covers the August/September 2017 issue of Essential Homme. Promoting The Killer's latest album, Wonderful Wonderful , frontman Brandon Flowers covers Essential Homme. Photographer Nik Hartley links up with Flowers for the photo shoot. Meanwhile, stylist Christopher Preston pulls together fashions fit for a rock star. Flowers dons the latest from the likes of Saint Laurent and Dior Homme. 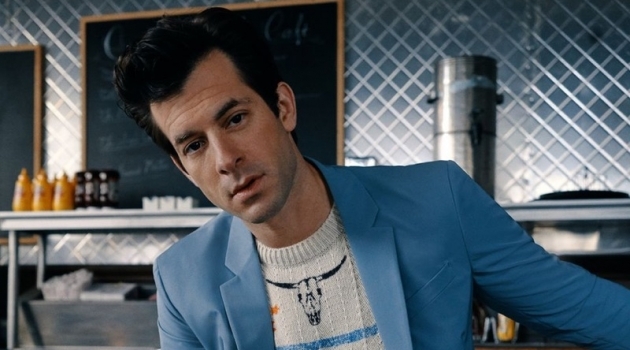 After recording two solo albums, Flowers reveals that he felt more open approaching The Killers music. 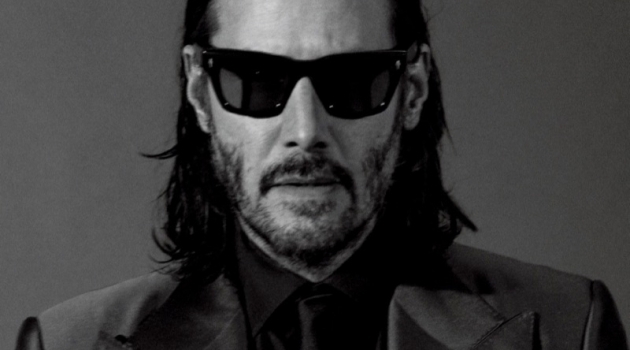 The singer compares his work as an individual to being back with the group. He explains, "I could be more open by myself because I didn't have to represent the others." Flowers continues, "For this record, I realized it was okay to not be so protective about what was going on in my personal life. It wasn't easy, but it worked out." 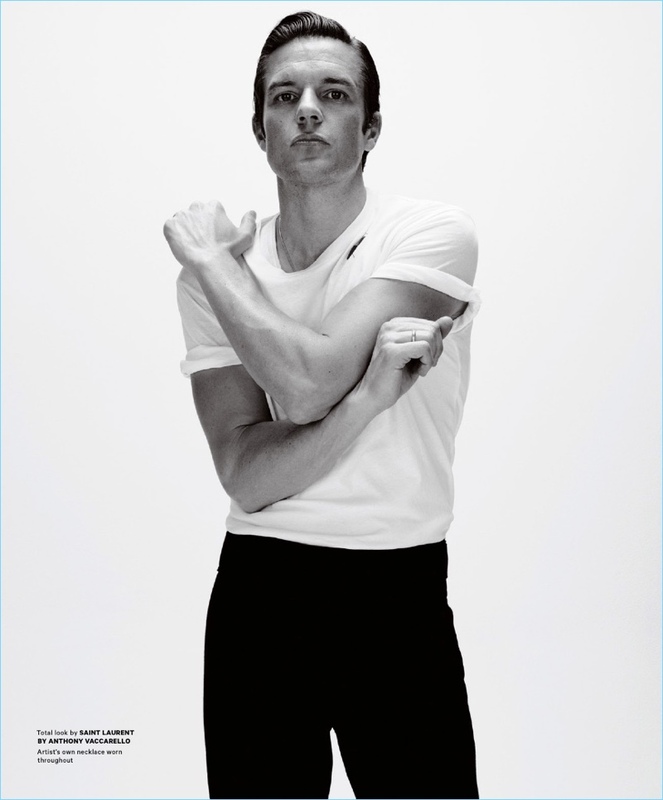 Connecting with Essential Homme, Brandon Flowers wears Saint Laurent. 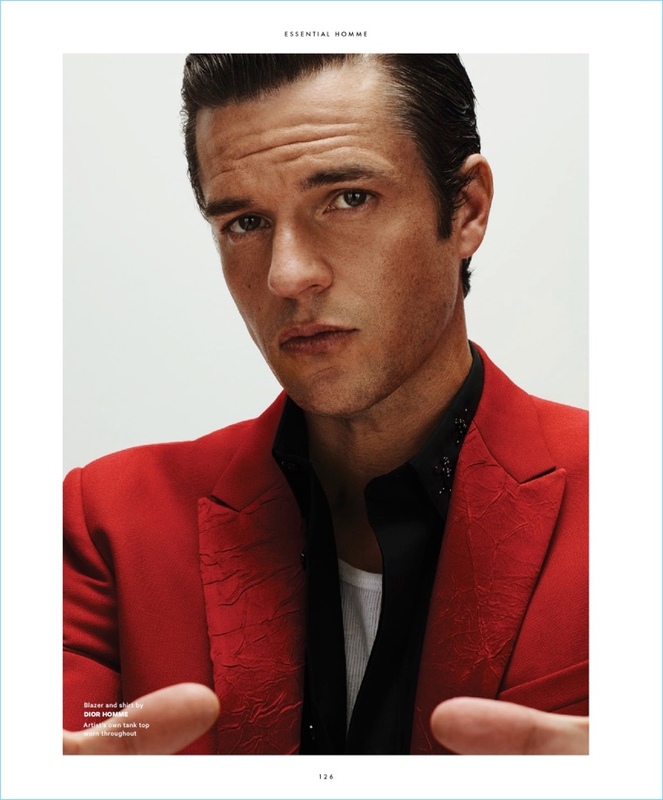 Ready for his close-up, Brandon Flowers sports a red number from Dior Homme. 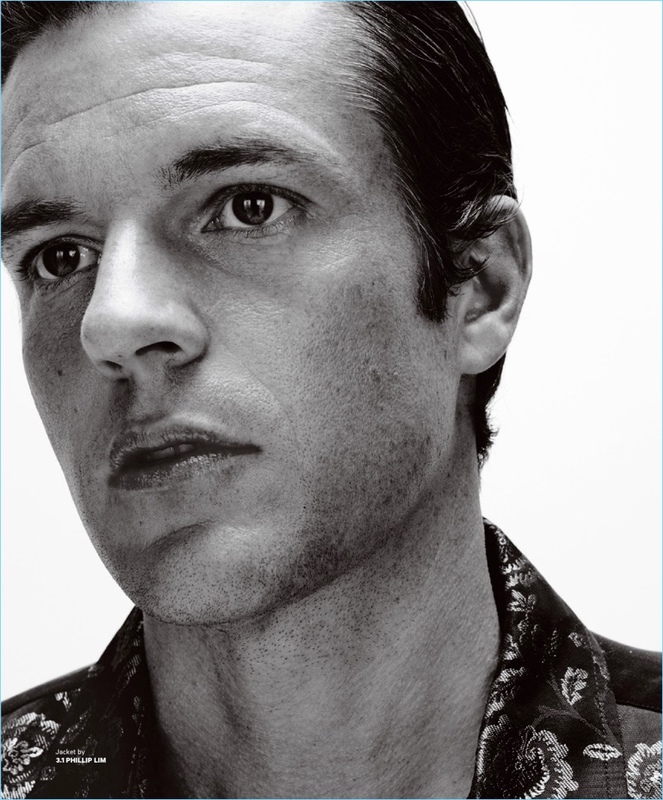 Nik Hartley photographs Brandon Flowers in a 3.1 Phillip Lim jacket. 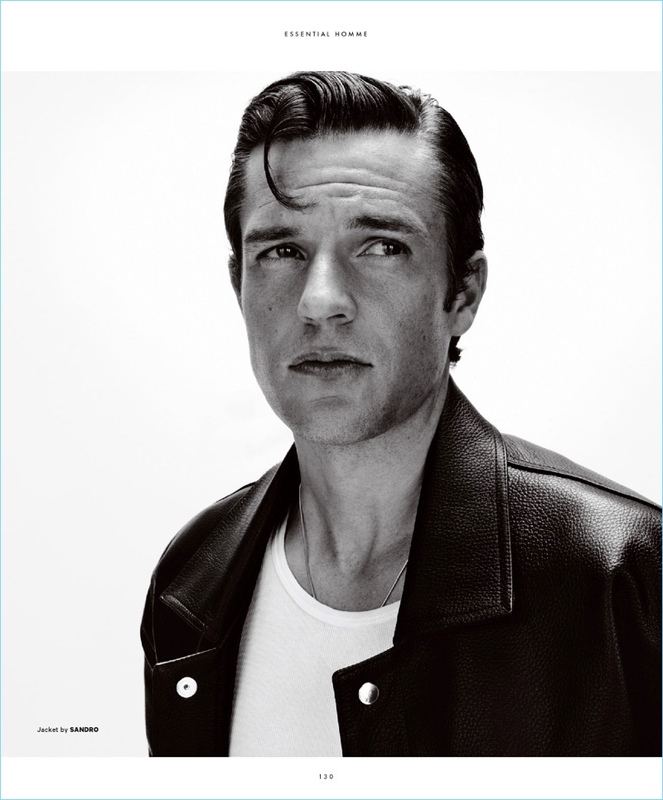 Channeling his inner bad boy, Brandon Flowers rocks a Sandro leather biker jacket.